What happens when women and cannabis join forces? As it turns out, success. dosist, an award-winning California-based wellness brand, is proof. Their proprietary cannabis pen offers a safe, consistent dose of formulas created to promote sleep, pain relief, calmness, and more. We were thrilled to partner with the company, named Fast Company’s most innovative brand in 2018, to host a happy hour our Miami Vision Summit. Below, we chat with Anne-Marie Dacyshyn, chief marketing officer, about what women bring to the table in the wellness industry and how dosist is transforming healthcare...one dose at a time. You joined Dosist in July. What appealed to you about the company, and what did you most look forward to? What appealed to me about joining dosist were three key and powerful things: First, it offered me the chance to be part of a monumental global shift where this incredibly powerful and therapeutic natural resource is on a trajectory towards widely adopted legalization, which is huge from a wellness perspective. 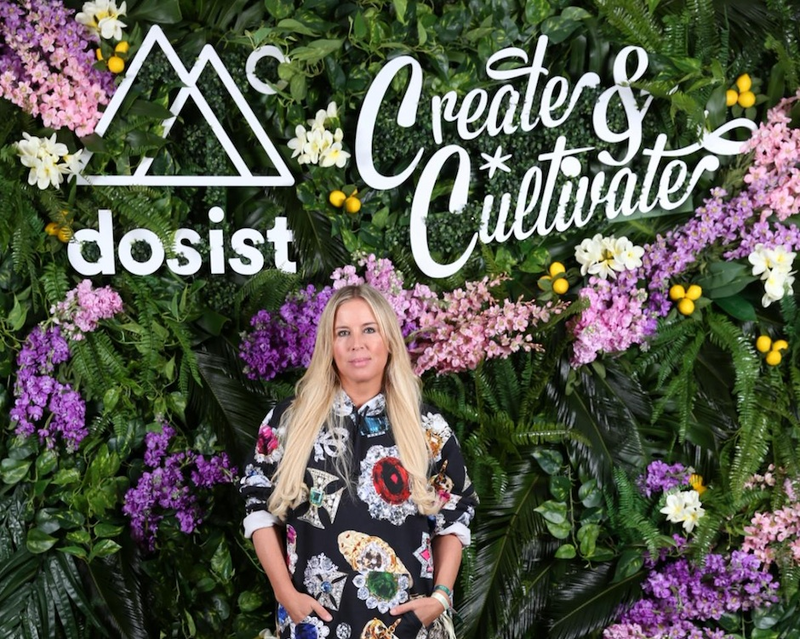 Next, I was inspired by dosist in particular in that it had already pioneered and innovated a game-changing proprietary dose control device and targeted formulations, all aimed at helping people naturally manage their health and happiness. And finally, the leadership team and brand culture led by CEO Gunner Winston was beyond inspiring, so when it all added up I knew this was a chance to make history in not only transforming the cannabis category, but also transforming how people think about healthcare, working with an incredible and talented team along the way. Women hold more executive positions in the cannabis industry than the average U.S. business. Do you think women bring a unique perspective to the category, and how do you see female-led companies changing the future of cannabis? 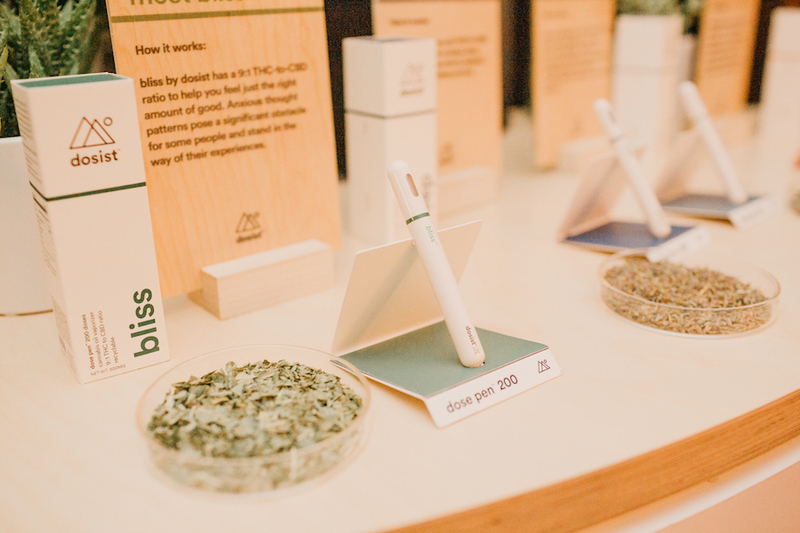 To start, at dosist we are 100% focused on the wellness side of cannabis use, and in fact are building a leading modern wellness brand vs. a cannabis brand. And I believe it is that important distinction and focus on health and wellness that has attracted an influx of women into the space and into our brand in particular, as consumer history has shown us that women have often been the catalysts in helping shape and drive the new global “modern wellness” platform as they continue to seek out and demand natural alternatives to support their wellness routines. So, from there it is only logical that more women are stepping in and helping drive this initiative and conversation through key roles, to help accelerate the access to and development of more cannabis-based wellness products. As for how this influx shapes businesses at dosist we believe the best products and brands come out of companies with a culture that fosters and promotes diversified thinking across the board. So for us that comes from building a diverse leadership team that is not just about gender diversity, but also diversity across backgrounds and experience, and it’s all of these factors that are paramount to achieving our goals. Dosist is run by a more diverse leadership team than the average brand. What advantages does this have, from both a marketing perspective and an internal one? We’re certainly proud to have a female CMO, CFO and a diverse team. But we’ve never thought about it in terms of hiring quotas. At dosist we are committed to developing talent around three principles – inspiration, collaboration, and accountability. And, do you share our vision of transforming healthcare? It’s those shared values across the team, combined with our commitment to innovation in products, therapeutic formulations and consumer experiences that inspire and differentiate us in empowering consumers to naturally manage their health and happiness. What differentiates dosist from other companies in the cannabis space? To start, at dosist we are focused on an entirely different approach in that we are building a leading modern wellness brand which uses cannabis to provide relief from some of today’s most common ailments through science and innovation. Our products and formulas are engineered to take the guesswork out of cannabis treatment, and create consistent, safe and effective results for our consumers. We achieve this through a few key things. 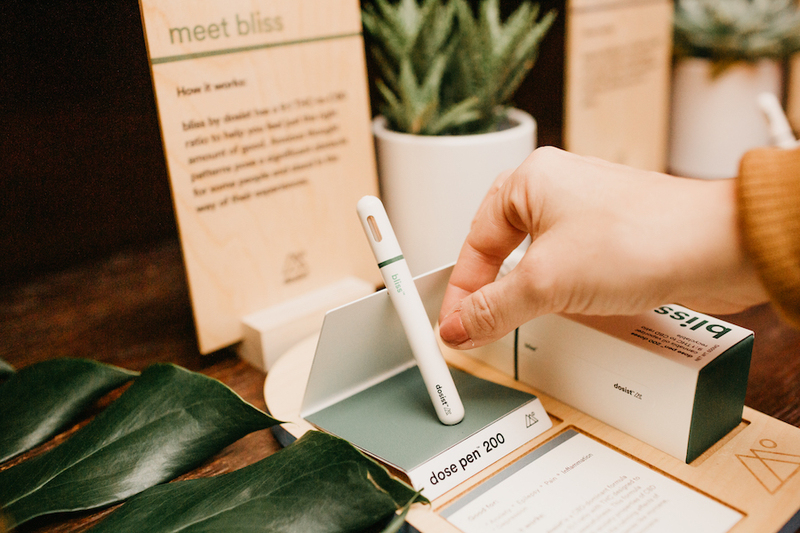 The first is our proprietary and award-winning dose pen, that uses superior vaporization technology to activate the key cannabis compounds in our targeted formulas and delivers a precise 2.25 mg dose each and every time, notifying the consumer of a complete dose with a slight vibration. Dose control is imperative to effectively using cannabis as a therapeutic tool, and we are the leaders in this technology and initiative. Bliss, Sleep, Calm, Relief, Arouse and Passion, to deliver optimal health benefits without the sometimes overwhelming effects of THC. From reducing pain and inflammation to getting a better night’s sleep our formulas are expertly engineered to elevate your health and happiness naturally. And last, we are dedicated to being the leader in providing education and awareness for consumers about cannabis. There is still so much misconception and stigma that exists around this amazing plant, so it is imperative for us to ensure we are always educating first and foremost about its potential as a powerful therapeutic tool. We are committed to breaking through the pre-existing barrier of misconception and ultimately removing the stigma that still exists. What about your job makes you feel most fulfilled? In short, all of it. From the opportunity to be a part of something that is so impactful to so many people’s lives and the incredible stories we hear from our customers every day, to the amazing and talented group of people and partners that I get to work with (like partnering up with Create & Cultivate at Art Basel! ), it’s an incredible journey we are on to help people discover cannabis and utilize it as a safe, therapeutic alternative medicine. So it’s all of that and more that keeps me fulfilled, inspired and grateful.